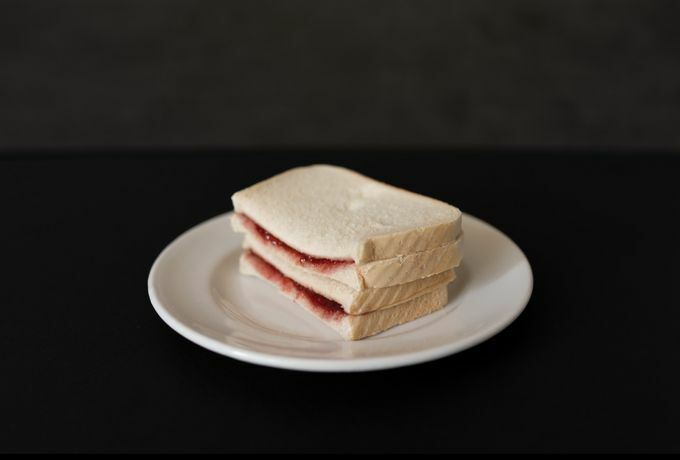 This exhibition aims to raise awareness of the nature, scale, causes and experiences of food insecurity in Britain today: giving a platform to people who experience household food insecurity as they are best placed to talk about and present their situation. We also believe that food insecurity isn’t something that happens to other people but can happen to us all. The exhibition features portraits of people living in food poverty which aim to convey something of the range, but also the dignity, of these people. These portraits are interspersed with images of ‘dishes’ which portray the meals people living with household food insecurity have described eating. These are deliberately styled to resonate, but also jar, with the glossy pictures of perfect plates of food that fill our magazines and cook books. Finally the exhibition features a series of text panels that combine a selection of people’s own accounts of food insecurity with some facts and figures that we feel convey something of its causes and scale.